En+ Group, owned by Russian billionaire Oleg Deripaska, is set to build a massive $355 million data center in Eastern Siberia – potentially one of the largest facilities of its kind in Asia. Due to its location, the data center will enjoy free cooling all year round and will be supplied by cheap hydroelectric power. It will take advantage of the market created by a law passed in 2014 that requires all foreign firms to store Russian citizens’ data on Russian soil. The project will be carried out in cooperation with Chinese partners including Huawei and Centrin Data Systems. The relevant agreement was signed last week in Beijing, as president Putin visited his Chinese counterpart, president Xi Jinping. This will become the largest data center project to be undertaken by Huawei in Russia. En+ Group is a Russian conglomerate with primary interests in mining, metallurgy and energy. Its president Oleg Deripaska owns the controlling stake in United Co. Rusal, the largest aluminum company in the world. Data centers are a new business for the group. 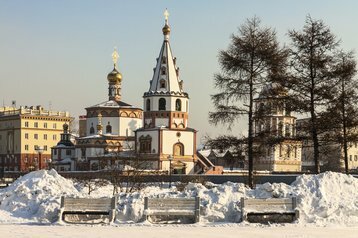 Its first facility will be located in Irkutsk, one of the largest cities in Siberia that’s closer to Beijing than it is to Moscow. By 2018 the first phase of the data center, built at the cost of $55 million, will deliver enough space to host 1,800 racks. If it proves successful, the facility could host as many as 8,000 racks by 2024. Electricity for the site will be provided by hydropower stations owned by En+ Group that supply Deripaska’s aluminum smelting business. The project is included in the trade and investment cooperation roadmap for the BRICS countries, and is supported by both Russian and Chinese governments. Despite being located in Russia, it is expected that up to 80 percent of space in Irkutsk could be occupied by Asian businesses, primarily from China. Last week, it emerged that Russian regulator Roskomnadzor (the Federal Supervision Agency for Information Technologies and Communications) has delayed the implementation of the data residency law, and will not ask some of the largest foreign firms where their data is located at least until January.